Amy is a Senior Lecturer in History, and the History Discipline Leader, at the University of the Sunshine Coast. She specialises in built heritage (architecture), popular culture, and identity politics. Her geographical and chronological focuses range from 19th century Scotland and the British Empire, to colonial and contemporary Australia, to colonial and post-colonial notions of cultural identity and built heritage throughout South East Asia and the Pacific. Amy is particularly interested in exploring these histories through heritage practice and theory, and her recent research has explored heritage policy, cultural diplomacy, identity politics and nationalism. Her PhD, entitled ‘Built heritage and National Identity: Constructing and Promoting Scottishness in the Twenty-First Century,’ was conferred in 2015 (University of Queensland), and investigated several contemporary issues in heritage politics and governance using Scottish (and Scottish diaspora) case studies. Since 2015, Amy has been researching the broad theme of cultural/heritage diplomacy through specific programs and initiatives of the Australian Government. She has become a leader in the emerging field of ‘heritage diplomacy’ discourse and published a comprehensive review of this concept in The Handbook of Cultural Security (2018). Amy is the Lead Investigator for the USC research project, ‘Beyond Borders: Australian Heritage Diplomacy in Asia-Pacific, 1992-present’, with colleagues Professor Patrick Nunn and Dr Harriot Beazley. Amy was awarded Australian Federal Government New Colombo Plan Mobility Project funding (2019-2020) to lead a group of USC students to Vanuatu for heritage-related research. 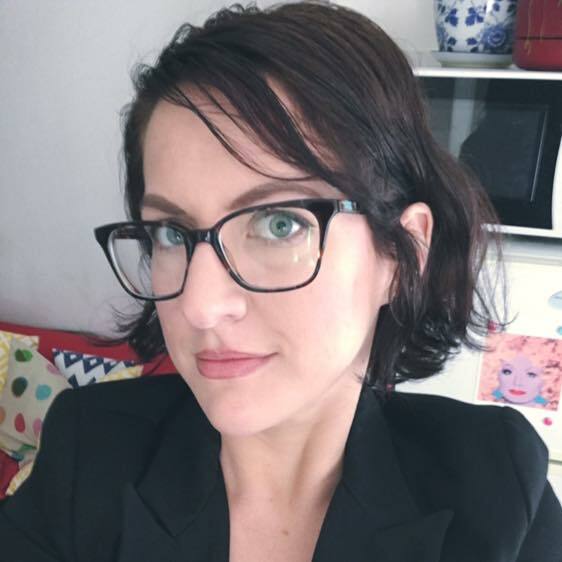 She is also investigating ‘shipwreck diplomacy’, historical approaches to heritage in Australian diplomacy, and the theoretical and ethical issues in embedding heritage in international development programmes. Amy is currently funding research on a separate project relating to ‘Big Things’: super-sized kitsch or ‘low art’ structures typically built along roadsides in Australia and North America across the 20th century. This research has received international coverage through print, television and radio, and Amy is a regular invited public speaker on the topic. In 2018 she was awarded the prestigious Duke University Hartman Center FOARE Fellowship, to conduct further investigations of this subject in North America. Finally, Amy is collaborating with colleague Dr Ashley Paine on a wide-ranging research project that explores architectural history/theory and heritage issues relating to copying, duplicating and reproducing architecture. A research symposium on this topic will be staged in 2019, with a co-edited text to follow. Amy has had work published in journals such as: Archaeologies, Fabrications, Future Anterior, and Historic Environment. Her work has also appeared in proceedings by the Society for Architectural Historians Australia and New Zealand, the digital cultural heritage: FUTURE VISIONS initiative, Transatlantic Dialogues on Cultural Heritage program, and the EUNAMUS project. She has also contributed to mainstream outlets such as The Conversation and Border Crossings magazine, and is a regular contributor on history, culture and heritage matters for ABC Radio Australia and Channel 7 News Queensland. Amy is the Deputy Editor of Historic Environment (the journal of Australia ICOMOS), serves as an Editorial Board Member of the Society of Architectural Historians of Australia and New Zealand (SAHANZ), is a Fellow of the Society of Antiquaries of Scotland, and a Full International Member of the International Council on Monuments and Sites (ICOMOS). Prior to her PhD (University of Queensland), Amy completed a MSc at the Edinburgh College of Art (University of Edinburgh) in 19th Century Scottish Tudor Revival architecture. Amy has also completed a Graduate Certificate in Tertiary Teaching (Curtin University), and a Bachelor of Arts (Honours 1) in History at the University of Queensland, for which she wrote her dissertation on Victorian-era perceptions of the Tudors in art, architecture and education. In 2016 she was awarded an Advancing Quality Teaching award for excellence in teaching at the University of the Sunshine Coast. She was awarded the International Council for Canadian Studies 2012 Graduate Student Grant for her work in eastern Canada, and the 2012 Guilford Bell Scholarship for her research on Culloden and Bannockburn Visitor Centres and the Robert Burns Birthplace Museum. If you would like more information or would like to view Amy’s CV, please visit her Academia.edu page.